I guess that "black monday" in the title explains why the images are so dark? You never know But yes, for some reason Black Monday does have a much darker in game colour pallette than that of The Getaway. As is evident, this game is dominated by damn Vauxhalls. If anyone is wondering why some of the images appear a bit different, it is because of the time of day that was set in the free roaming once it was started. A Nissan Patrol appeared in pre release screenshots but, much like The Getaway, it never materialised in the final game. Are all the vehicles liscenced or made up? They are all licensed, as in the original Getaway. Why are all the Mercs including the Maybach being labeled as Brabus`s? They are primerily Mercedes`s, the models may be Brabus, but that isnt the manufacturer. I shall update this page soon, so do please keep mentioning missing cars We list them as Brabus in the same way we list some Hondas as Spoon etc. Maybe this video will give you some clues? I think it would be better if I added them if I can find them in order to get higher quality images. londonitalian, have you registered for the forum? Also, what kind of Ferrari do you have? CrazyCars wrote Maybe this video will give you some clues? I`m not on the forum, no. I`ve got an 84` 308 quattrovalvole(the magnum one! ), which is for sale in anyones puts £20k under my nose! Its only done 35,000 miles, massive history, ex FOC club car. I`ve only driven it twice in the last 14 months I`ve had it, the rest of the time it sits in the garage looking pretty! Sorry if I`m not suposed to put them here, please delete them if I`m not. Very nice car londonitalian! We should make a topic, i'll do it if it's ok? Just out of interest londonitalian, can you find your house on this game? Thanks Star Wars, it is a hell of a buzz to drive! I actually just sold the Ka, it was a 52 reg luxury black model which despite having the rattly old kent engine from the 60`s & a very underdeveloped feel overall, was STILL enormous fun to drive! probably more so than my Porsche & the Ferrari because you can throw it round corners on 3 wheels & not have to worry! Unfortunately I`ve decided to cut down on my garage & the Ka was the 1st to go! the plan is to just have 1 Daimler, the Porsche & 1 cheap runaround car within the next 6 months. Britain is just getting too anti car & as a father of 2 who doesnt earn a great deal, I have to start getting a little more mature with my toys! I dont mind Crazy cars, it would be be interesting to have a members car arena. No, my house isnt on the game, I`m in outer north London, I do know the areas very well though, especially the east side. The funniest bit of the game for me is the rainbow sports bar in shorditch[opposite the Texaco garage with blue & pink neon lights], its an adult exotic dancing club I used to go to with my 2 friends, I cant believe they put it in the game! once was playing & pulled up outside it to find 3 men outside it in the game that didnt look dissimilar to me & my mates! I was creasing up, believe me...lol. I took a pic at the time but I cant find it right now! Where was the Renault 19? When you start with the Lotus Carlton it's in that area. I have added some missing vehicles and replaced a few existing shots. I definetly think we should have a "date added" display like in imcdb because in cases like these and grand turismo, or simply in any case of a game being updated we wont know which cars were last added, and i dont think that feature is hard to add or is it? I am buying this game tomorrow, just looks too good. I like the fact it has accurate real roads and normal everyday cars you would expect to see in London. 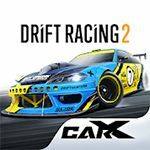 CrazyCars wrote I am buying this game tomorrow, just looks too good. I like the fact it has accurate real roads and normal everyday cars you would expect to see in London. londonitalian wrote Why are all the Mercs including the Maybach being labeled as Brabus`s? The developers of the game probably couldn't get th liscences for the cars from Mercedes-Benz, so they turned to Brabus, who tune Mercs, but release them as there own car. Peugeot 607 (Playable,Unlockable) , Silver gang car which can be found in the 4th mission. While driving towards the scrapyard this car will chase you. Steal it from the gang members and put it into a garage which will allow you to access it in Free Roam. Possibly Made for Game (Unplayable) in the same mission an odd looking saloon car can be found lying on bricks too. It doesn't look like any car i have seen, but it has the same front lights as the Cherokee. Does anyone know if there are any missing cars on the page for The Getaway? Thank you Neon Could you possibly obtain some better shots of the bonus vehicles such as the Vauxhall Firenza, rally cars, fire truck and made for game buggy? I could not find these and had to resort to youtube so the quality is poor. There is indeed a yellow Taxi in the game...it looks almost, but not quite, like a current generation Ford Crown Victoria, but it's right hand drive (and it's labeled as a New York taxi, not San Francisco). It's one of the only cars I've found myself in the game (I also notice the Ford Probe dragster is missing on here...it's at the top of the map, near where the Lotus Espirit could be found in the first game). "In Free Roaming mode, go to Charlie Jolson's house in Mayfair. When you get there, face the house and turn to your right. Continue down the street until a road merges from the right. You may want to use a car for this, as it is a good distance down the street. To the left are some parallel parking spaces, and this is where the taxi is found." Do you know which character has to be used to find it? Neon, are you able to investigate this? I'm already to the job... but it would be better have a specifies description. Which character? Now, with Mitch and Zara no taxi. I tried with Eddie, and i didn't find the car. I know i am correcy where it is because, as cheatcc pointed out, there is a characters house that you need to face and turn right. I know for sure that i found the characters house because there is another cheat to break into the house, and i did this. The NYC Cab and the Ford Probe were only available for the American version of the game, so that's why Skid has found them while we haven't. This is a really shame! What is that orange car, and where is the taxi? The car orange seems to be one dragster.So does not know where finds it! There is also a Iveco truck in one of the missions. It's a very large bank truck saying "Skobel"
This is one of the best games for Ps2. There are again lots of missing vehicles (I have found 10-12 cars not listed). But soon I will do images of these, + some of the cars with an ugly picture taken from YouTube + (if SWF agree) some dark and wrong ratio pictures. Ok, but last time I replaced a lot of the lower quality shots myself. I know, I know, indeed, I will replace only the car with a very bad picture (for example the 406 coupè, the pictures with a wrong ratio and the S-Klasse + Citroen Bx because is visible only the rear) don't worry, they are max 5-6 pics. Now, I really hope then this game is complete! Good work Neon Although there are still a few other secret vehicles that need replacing. There are still a few missing vehicles. In the race "Voodoo" you race with a made for game supercar. In the race "Cabby" you race with a heavily modified LTI Taxi and one of the cars you are against is a Vauxhall Cavalier taxi. Yes, I have see these cars in the races... but I want find it in the free roam! Same with the Rover 25 Police car that is already listed. I took some pics of some of the cars you said you needed and a few other vehicles that I think are missing (sorry the ones from the races are pretty dodgy). Also need pics of Ford Probe Dragster and NYC taxi. I've got some pics of the dragster I found on one of the games car artists sites but not the NYC taxi and its not on my version of the game. Do you know how to unlock the last two charactes (Leo and the woman)? How did you get your pictures cogs? I've never seen any of these extra vehicles, although I didn't spend that much time with Black Monday as I much preferred the original. If we could find a shot of the dragster and taxi somewhere then this page will finally be complete. Neon wrote Do you know how to unlock the last two charactes (Leo and the woman)? Find all of the hidden keys in the missions. It's VERY hard. Star Wars Fanatic, I just took screenshots using a Belkin USB capture device. Alot of those cars are only found in the races in extra features so you might not have seen them if you havent played the races much. Neon, There are actually 24 key rings. One in every mission and 2 on mission 14 (one playing as sam and one playing as eddie) and 2 on mission 22 (one if you stayed with sam during mission 13 and one if you left). You dont need all the keys to unlock all the characters but maybe the 2 u r missing unlock the 2 last characters. Check out my youtube vid if u want, it shows the locations of all the keyrings. Or just let us know which 2 u r missing and I'll tell you where to find them. There's 8 with Mitch, 12 with Eddie and 4 with Sam. I'll try to find a pic of the NYC taxi but I've never seen one. Thanks Neon. At the start of mission 13, you can choose to stay with Sam (then you drive her to the Skobel building and play as eddie in mission 14) or after the cutscene you can exit the car, then you drive sam to the skobel building herself and play as her in mission 14. Hope this helps. Thanks for the links Star Wars Fanatic, I'll check them out. I've seen people refer to it as a Ford Probe, not sure if that's correct or not. Omg, there´s a lot of secret cars i ever have noticed! You start free roam with Sam outside the garage from "The Jolson Files" mission from the original The Getaway game. Sometimes the garage door will be up so you can see inside but there is an invisible barrier stopping you going in. You can crash a bike and get in though, as I did to take these pics. We still need the pickup that CrazyCars mentioned. The pickup is already up there. It's the second L200 (its pink but dirty). Or did you mean we need a new pic for it? Ah sorry, I missed it. The car damage physics of this game have to be improve! also, you can't skip any cutscence! There is a few missing cranes parked in a construction site , near the Big Ben. Does the streets in this game looks exactly like in real life? Yes, it is said to be very accurate. One of the best game I played! For the past four years, I just free roam in this game But I have just started the Story Mode on yesterday. After Chapter 9, why Eddie becomes my playable character? 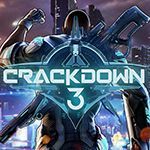 What this game needs is a proper sucessor...but well, as long as The Getaway 3 is cancelled, i think it´s gonna be a little dificult. Do you mean the original getaway is better? But the controls in this game is better, as well as the physics. I found an unplayable vans. Ford Transit MK III perhaps??? Sorry for the bad quality image, I take this with a camera. BTW, have you ever seen the hidden NYC Taxi in the game? someone added an American cab.. where's that found or is it only on the US game? I think this page is complete now. I don't really like to look for the hidden cars in the game, I just like to play the missions in the game. Which is fun to me. Thanks though. Yet, another two vehicles did not materialised in the final game. Star Wars Fanatic, may I ask you something regarding the homepage of IGCD? In the homepage of IGCD why is it that it says 2006-2008 and not 2006-2009? I'm not saying that you're slow or anything, oh no! But I'm just pointing it out. So, please don't find it offending. It's my fault and not SWF. I had forget to change it. It's Ok now. That's cool! Sorry Star Wars Fanatic and Rinspeed for all of the fuss. Thanks so much. According to rumors, besides London, Amsterdam will featured in the game(In the past I wish the famous Red Light District will featured ). But sadly it is canceled. The Getaway and Gran Turismo are the only PS exclusive games i like, and would be great to see some official news about this one. Hey, I found the NYC Taxi with Mitch. Anyone know where the dragster is? hi guys, i added some cars from the race Power Drive. Unfortunately none of these execpt the car you race in can be driven or stored. GR21 wrote Wheres the Citroen Saxo?? I can't get this website to work, any tips??? Your images are too small, Ford78. It's perfect game i think, but available for only PS2!!! Is it a joke? Why not PC or Xbox??? I will be adding submissions of cars that were in cutscenes in this game, today and for the first Getaway, tomorrow. Those vehicle that you are about to add was not seen in free roam and in mission? Only in cutscenes. Like I did with Saints Row. In chapter 21, 5 vehicles were shown parked right after Victor fails to impale Eddie. Vehicles are Brabus SL, TVR Sagaris, Lancia Delta, Triumph Rocket III and Triumph Daytona 600. And a LDV Convoy and a Vauxhall Astra was shown in final shot of the game. I think some pics need to be replaced no ? Black Bart wrote In chapter 21, 5 vehicles were shown parked right after Victor fails to impale Eddie. Vehicles are Brabus SL, TVR Sagaris, Lancia Delta, Triumph Rocket III and Triumph Daytona 600. Thanks. I'm going upload submissions for the first game, tomorrow. I had to choose the story where both Mitchell and Sam helped out Eddie at the end of the game. Anyway, I've been looking into the unlockable cars in this game (Rover 25 Police Car, VOODOO, and TIF, London Studio Race cars etc) and last night I transferred a save to my PC that contained the three normally unlockable race cars (The Getaway, Singstar etc) and found out the saves code for these cars. I also found some of the other cars from the game but thats not so important right now. The code for the race cars worked numerically so it should be reasonably simple to unlock the other 3 race cars in the game. I tried creating a save that I had edited but the game said that the data was corrupted. I believe it is because I am saving something incorrectly and therefore I wondered if anyone here had any ideas on how to edit game saves properly or if anyone had attempted this before. I used an AR Max to transfer the save file between PS2 and PC. Hi SamK670! Welcome to IGCD! I saw your videos on Youtube and I like all of your vides. I like cheats, too. Is very funny. You're not the only one who has a fascination with this game - you might be interested in my post earlier up that includes some rare images. Yeah, it's definitely a series I want to see relaunched. Hope you stick around! I'm another big fan of it. Indeed, I'm still sad my PS2 broke ages back and I can no longer play it. Wasn't there rumours of Getaway 3 being back in development a few months back? I might even have read it on here. Do you prefer the original Getaway or Black Monday? 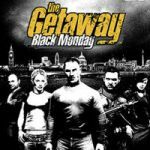 Star Wars Fanatic wrote Do you prefer the original Getaway or Black Monday? Black Monday. Black Monday has more possibilities like races, chases, free roaming with more characters and Black Cab. I like the car list. don't get Corsas in VGs very often. WoodyWoodstock, you´re welcome. Unportunaley, there´s 1 Corsa. The Vauxhall 1.8i Twinport. Check out again the list. Corolla Beast wrote Hey, I found the NYC Taxi with Mitch. Anyone know where the dragster is? I don´t know well. Is only alviable on NTSC Version. Welcome, Corolla Beast. Good to see a game take place in england and have lisecend cars in it! The cars really where cars you commonly saw on british roads in 2004, but now there are more newer cars on the streets. how did thay get promission.do they lie or somthing? I think that ironically they make the cars first (modelling, texturing, etc.) and THEN they try to make an agreement with the car's manufacturer (and some don't accept). That's why the first preview video of The Getaway had a BMW for example, but they had to remove it in the end because BMW wouldn't let them use it in the final game (BMW didn't want their cars to appear in a violent game as I read somewhere). Great image linking. Simply amazing. Awesome....inb4 someone asks "HURR WATS DA WRONG CAR POSTER MEAN". Is there a way to remove the "Wrong Car" textures? 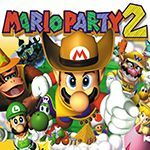 Is there a ps2 emulator which can emulate this game? I'd love to try it. Also Saab 9-5 was a Beta vehicle = aab95_g2." was. It does not exist in files anymore, deleted. Same as VR4 and VECTRA. This "VR4" was planned to be a Mitsubishi GTO VR4, right? Galant VR4 probably, the GTO VR4 was not really known here as we only had standard models. 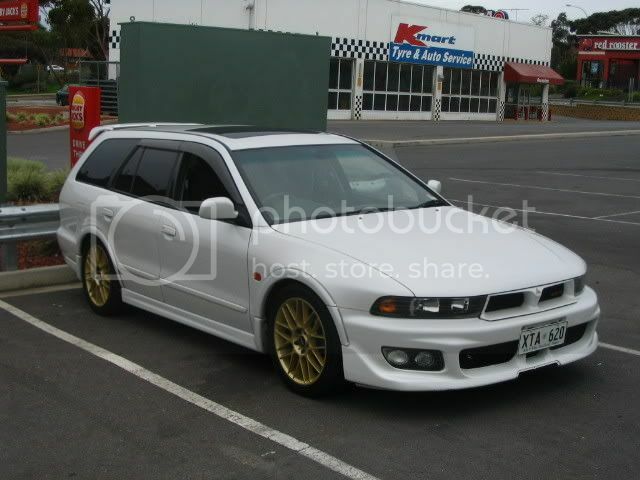 The Galant VR4, on the other hand, was sold here for a short period. IIRC there were references to a Galant VR4 in the original Getaway. Yes its refference to file from the first game, but does not exist in either. RacingFreak, may i ask you how did you extract the textures? Sandie wrote Galant VR4 probably, the GTO VR4 was not really known here as we only had standard models. The Galant VR4, on the other hand, was sold here for a short period. What? Dude I already have all names, is it really needed to spam here like that? RacingFreak wrote What? Dude I already have all names, is it really needed to spam here like that? i must ask this... Did you know that there IS a Saab 93? Of course I do. I have discovered even more as I also have the demo. Now will you please stop doing that, asking around and stuff, it's really annoying. I am nearly done in a big process of listing every single car from the first game and how it appears in different versions. Yeah I have no idea why it doesnt work anymore for me on neither the PAL & NTSC-UC versions. Any ideas? RacingFreak wrote Yeah I have no idea why it doesnt work anymore for me on neither the PAL & NTSC-UC versions. Any ideas? hmm... i dont know how you are spawning your cars. Are you editing savestates, saves, modding the actual game files or doing RTM? I got these to spawn in the traffic. I think it was NTSC version.But its strange that this car dissappeared after i saved it in the garage. Did you just replyed a year old comment? The unique game that i saw that the police cars flashing a beautiful effect random strobe. If anyone know another game with this effect, please tell me. Did the Getaway games have licenses for their cars? Because vehicles are very accurate and not fictional. Seems like the cars have proper badges too but I doubt the developers gained all these licenses for this game. Never played but the whole game has a black tint on it... Seems annoying. Literally the BLACK Monday. Nice! Could it be added to the page? Or nah because it's a beta? Shame, RacingFreak's pictures of the deleted cars are gone. Anyone saved them? J-2 wrote Shame, RacingFreak's pictures of the deleted cars are gone. Anyone saved them? If you look in the 2004 E3 trailer you’ll notice a second generation Saab 9-3 in two scenes. The first driving along the Thames (0:22) and the second driving down a road and indicating (1:20). It must have been deleted from the final game.